Here are some websites to keep you busy! To help you with our Science topics! A great reading resource - your child has their own login details. A great support for maths - again your child has their own login details. Reading Eggs A great reading resource - your child has their own login details. Science Clips To help you with our Science topics! Maths A great support for maths - again your child has their own login details. 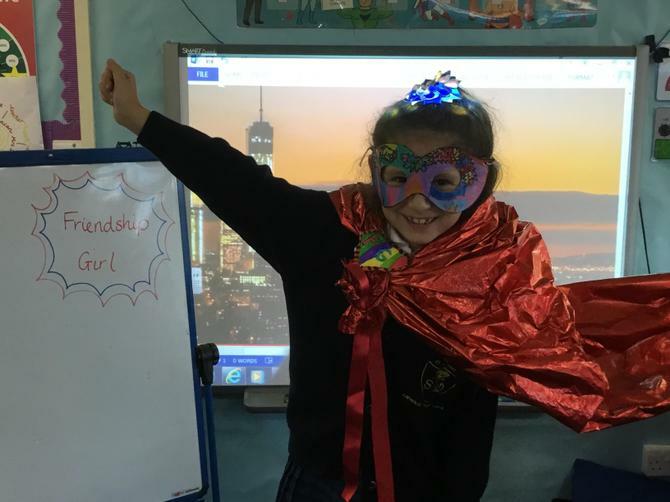 Last week was Anti-Bullying week and the Heroes turned themselves into 'Superheroes' in the fight against bullying! 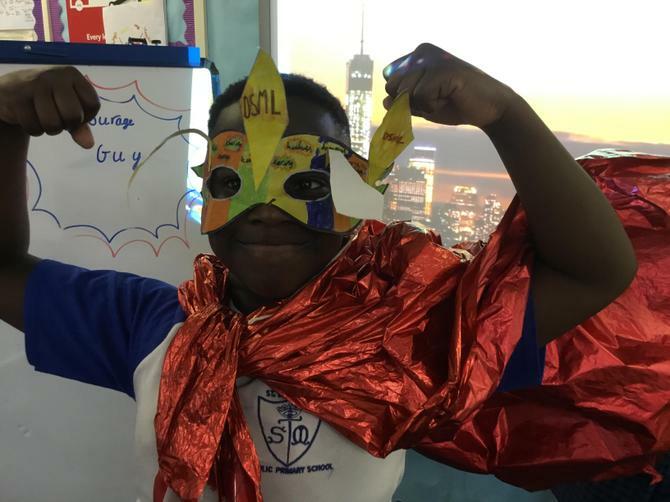 This links to our PSHE, Mission Values and British Values! 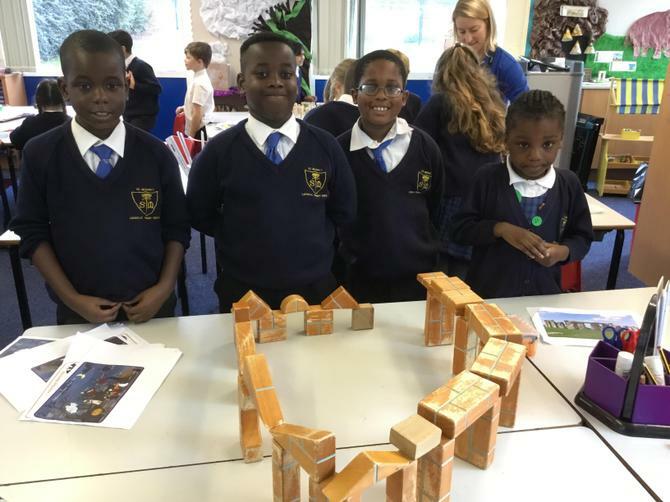 We have been busy making models of Stonehenge for our Stone Age topic. For Design Technology, we used different materials to build our models and discussed which we thought was best. The wooden blocks were the best because they were strong and had straight, flat edges that were good for building! The biscuits were the least popular because they were not straight and it was difficult to get them to balance! 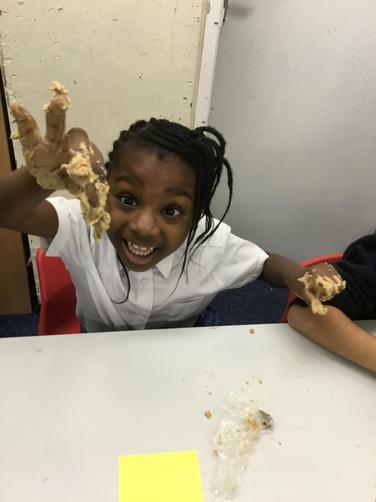 We looked through Stone Age poo (not really, it was salt dough!) 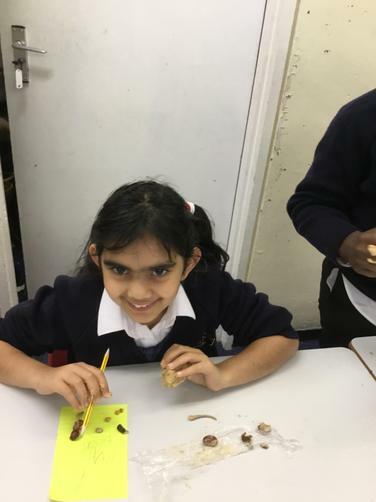 to find out what stone age people ate! This links with History as we were comparing our diet with that of people in the past. We found nuts, berries, seeds and chicken and fish bones! We learnt that Stone Age people were 'Hunter - Gatherers' - do you know what this means?